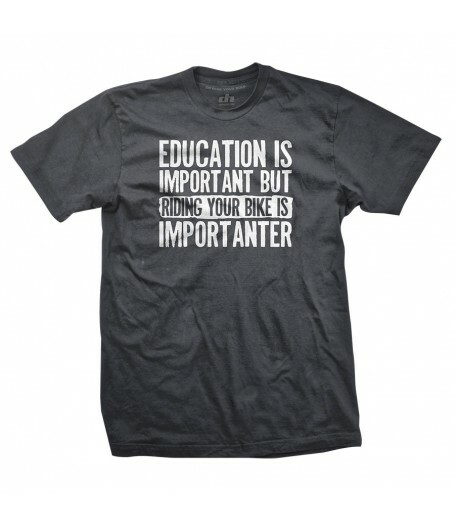 This shirt is for all of us who skipped a class every now and then (some more than others) and went riding instead. Who says it stunted our intellect? We never wanted to be the Valedictorian anyway. 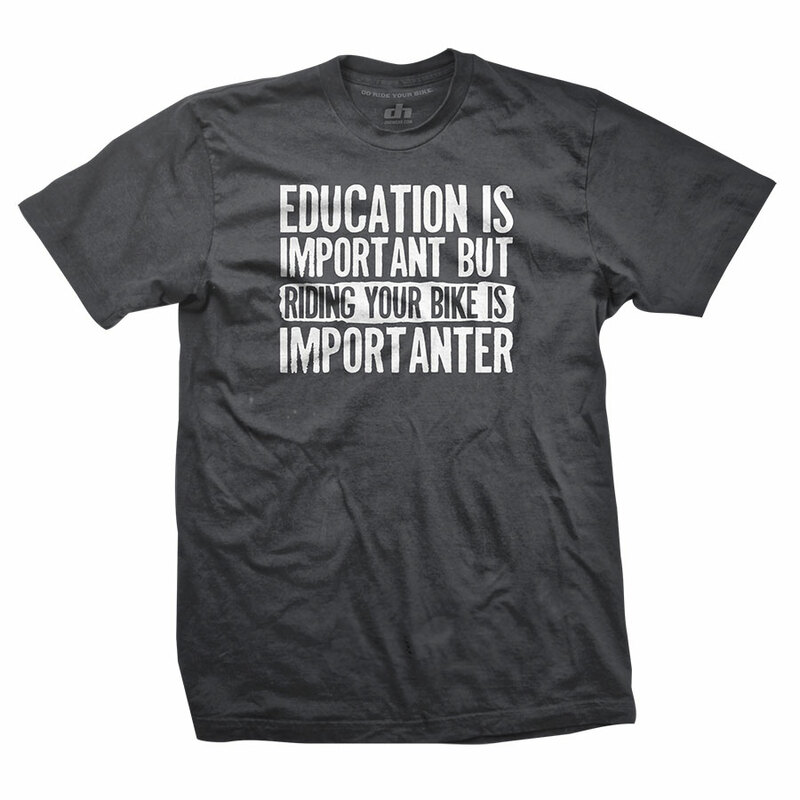 "IMPORTANTER" Heavy Metal Grey shirt with white lettering. Shirts are 100% soft cotton.